Kick off your visit on the 11th (Wed): enjoy breathtaking views from Skylon Tower, take in the dramatic natural features at Journey Behind the Falls, and then take in the dramatic scenery at Niagara Falls. Get ready for a full day of sightseeing on the 12th (Thu): identify plant and animal life at Butterfly Conservatory, pause for some photo ops at Clifton Hill War Memorial, and then admire the sheer force of Horseshoe Falls. To find where to stay, traveler tips, maps, and more tourist information, you can read our Niagara Falls online trip planner . Buenos Aires, Argentina to Niagara Falls is an approximately 16.5-hour combination of flight and train. You can also do a combination of flight and bus. Due to the time zone difference, you'll gain 2 hours traveling from Buenos Aires to Niagara Falls. Traveling from Buenos Aires in September, you will find days in Niagara Falls are a bit warmer (28°C), and nights are about the same (15°C). Cap off your sightseeing on the 12th (Thu) early enough to go by car to Toronto. 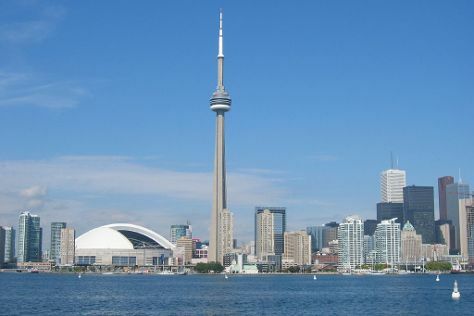 Toronto is known for zoos & aquariums, shopping, museums, historic sites, and nightlife. Your plan includes some of its best attractions: enjoy breathtaking views from CN Tower, appreciate the extensive heritage of The Distillery District, get up close and personal with brilliant marine life at Ripley's Aquarium Of Canada, and see the interesting displays at Royal Ontario Museum. For other places to visit, more things to do, and other tourist information, you can read our Toronto trip itinerary builder tool . Traveling by car from Niagara Falls to Toronto takes 1.5 hours. Alternatively, you can take a bus; or take a train. In September, plan for daily highs up to 26°C, and evening lows to 16°C. Wrap up your sightseeing on the 15th (Sun) early enough to travel to Montreal. Montreal is known for historic sites, parks, museums, nightlife, and fun & games. Your plan includes some of its best attractions: take in the architecture and atmosphere at Notre-Dame Basilica, admire the natural beauty at Montreal Botanical Garden, take in the spiritual surroundings of Saint Joseph's Oratory of Mount Royal, and admire the masterpieces at Musee des beaux-arts de Montreal. For reviews, other places to visit, more things to do, and more tourist information, read Montreal trip planner . You can fly from Toronto to Montreal in 3.5 hours. Alternatively, you can do a combination of bus and flight; or drive. In September, daily temperatures in Montreal can reach 26°C, while at night they dip to 15°C. Wrap up your sightseeing on the 18th (Wed) early enough to take a train to Ottawa. Kick off your visit on the 19th (Thu): stroll through Gatineau Park, appreciate the history behind National War Memorial, and then ponder the world of politics at Parliament Hill and Buildings. Get ready for a full day of sightseeing on the 20th (Fri): shop like a local with ByWard Market, then see the interesting displays at National Gallery of Canada, and then contemplate in the serene atmosphere at Notre Dame Basilica. To find maps, where to stay, more things to do, and tourist information, you can read our Ottawa trip planning app . Traveling by train from Montreal to Ottawa takes 2.5 hours. Alternatively, you can drive; or take a bus. Traveling from Montreal in September, plan for little chillier nights in Ottawa, with lows around 12°C. Finish your sightseeing early on the 20th (Fri) so you can travel to Banff National Park. 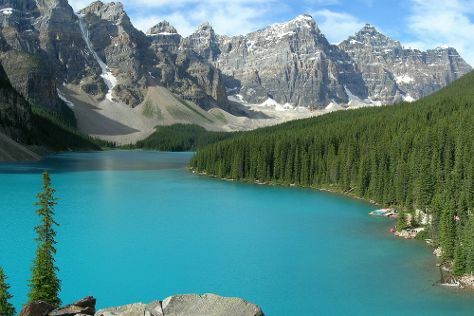 Banff National Park is known for nature, historic sites, scenic drive, spas, and adventure. Your plan includes some of its best attractions: contemplate the waterfront views at Moraine Lake, appreciate the extensive heritage of Fairmont Chateau Lake Louise, stop by Wilsons Mountain Sports, and view the masterpieces at Samson Native Gallery. For ratings, photos, more things to do, and more tourist information, refer to the Banff National Park online travel planner . You can do a combination of flight and bus from Ottawa to Banff National Park in 9.5 hours. Other options are to do a combination of train, flight, and bus; or drive. Traveling from Ottawa to Banff National Park, you'll gain 2 hours due to the time zone difference. Traveling from Ottawa in September, expect Banff National Park to be little chillier, temps between 15°C and 2°C. Cap off your sightseeing on the 23rd (Mon) early enough to travel to Victoria. 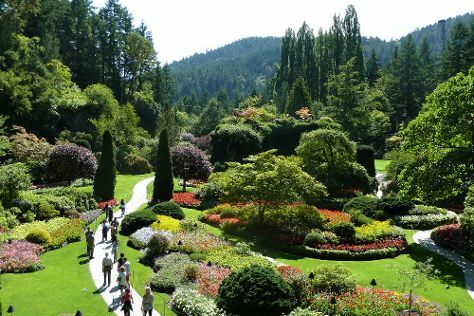 On the 24th (Tue), take in nature's colorful creations at The Butchart Gardens and then walk around Beacon Hill Park. Get ready for a full day of sightseeing on the next day: explore the historical opulence of Craigdarroch Castle, examine the collection at Royal BC Museum, and then look for gifts at Trade Roots. To see where to stay, reviews, maps, and other tourist information, read Victoria trip planner. Traveling by combination of shuttle, flight, and bus from Banff National Park to Victoria takes 9 hours. Alternatively, you can do a combination of bus, shuttle, and flight; or do a combination of car and ferry. The time zone difference moving from Mountain Standard Time (MST) to Pacific Standard Time (PST) is minus 1 hour. Plan for somewhat warmer temperatures traveling from Banff National Park in September, with highs in Victoria at 20°C and lows at 13°C. Finish your sightseeing early on the 25th (Wed) to allow enough time to fly to Vancouver. Vancouver is known for parks, nature, zoos & aquariums, museums, and fun & games. Your plan includes some of its best attractions: walk around Stanley Park, head off the coast to Granville Island, enjoy the sand and surf at Kitsilano Beach, and explore the activities along English Bay. To find where to stay, other places to visit, maps, and tourist information, read our Vancouver trip itinerary maker website . Traveling by flight from Victoria to Vancouver takes an hour. Alternatively, you can ride a ferry; or do a combination of ferry and car. Expect a daytime high around 22°C in September, and nighttime lows around 14°C. Wrap up your sightseeing on the 29th (Sun) early enough to travel back home.